Mothers are the cutest when they pamper their kids and show their love on social media. Ask Neetu Singh, who does it regularly. The actor shared a picture of her beloved son actor Ranbir Kapoor on Instagram on Tuesday and her fans loved every bit of it. Neetu shared a picture of Ranbir (with his back to the camera) as they took a walk around New York. “The strength,” she captioned the photo. He is seen wearing a blue T-shirt and cap and carrying a backpack in the picture. Neetu’s followers on Instagram thanked her for sharing Ranbir’s picture on Instagram. “Keep continue to post his pics… he himself is not on Instagram… your the one Mam through whom we can get to see him,” a fan wrote in a comment. “Your strength, our happiness,” commented another. 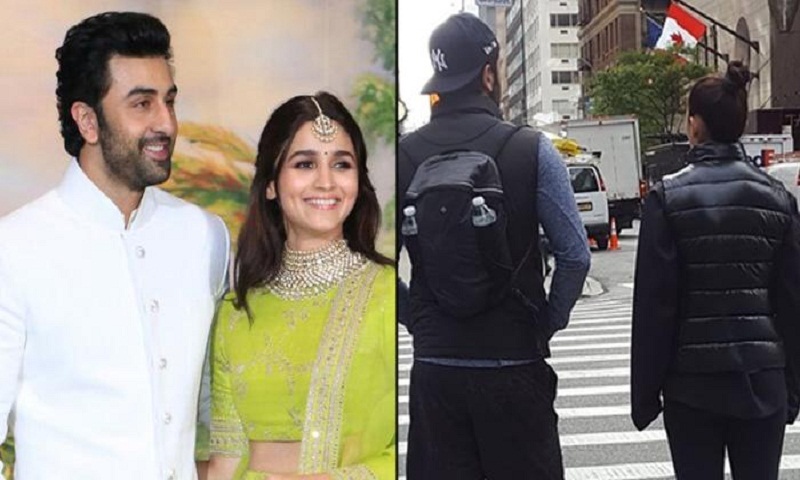 However, few fans did wonder about the whereabouts of Ranbir’s girlfriend, Alia Bhatt, who is also currently in New York. She posted a picture from the Big Apple on Tuesday in which she can be seen swinging her ponytail while enjoying a nice view of a city street. She was also seen with Ranbir in pictures posted on few fan accounts. Ranbir and Neetu are in New York with Rishi where the veteran actor is receiving medical treatment. “Hello all! I am taking a short leave of absence from work to go to America for some medical treatment. I urge my well wishers not to worry or unnecessarily speculate. It’s been 45 years “plus”of wear and tear at the movies. With your love and good wishes,I will be back soon!,” he wrote in a tweet some time back.